Saudi Arabia’s planned $500bn mega-city is an oasis of stunning cliffs, sandy beaches and high-tech projects powered by wind and solar energy where robots outnumber humans and a cosmopolitan lifestyle offers sports, concerts and fine dining. That vision showcased in a promotional video at an international investment conference in Riyadh this week bears little resemblance to the kingdom’s present where an oil “addiction” has created dependency on state handouts and a puritanical clergy imposes ultra-conservative mores. 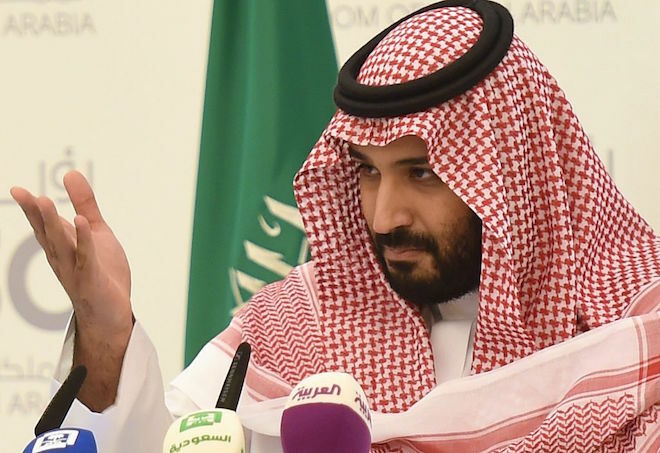 It is the latest dream of 32-year-old Crown Prince Mohammed bin Salman, who rose from relative obscurity two years ago to the top echelons of power, becoming heir-apparent in June. Ambitious and energetic, the modernising prince is driven by regret that his kingdom, the largest Arab economy and the world’s top oil exporter, has fallen behind smaller neighbours. Early on, he laid out a plan to shake Saudi Arabia out of its slumber after decades of gerontocratic rule. But his aspirations are a tall order in a country where the royal family rules in a pact with austere and powerful Wahhabi clerics wary of modernisation. His latest plan to build the 26,500 square km business zone called NEOM — getting on for the size of Belgium — captures both the scale of his ambitions and the worries surrounding them. Some executives at the conference – dubbed “Davos in the desert” – remained sceptical about Riyadh’s ability to execute its grand design given its primitive legal system and sluggish bureaucracy. The young prince acknowledges the difficulties but has pledged to push ahead. “This is a challenge. The dream is easy but making it come true is very difficult,” he said. He described the Saudi youth he is counting on to achieve his vision as “a double-edged sword”. “If they work and go the right way, with all their force they will create another country, something completely different … and if they go the wrong direction it will be the destruction of this country,” he said. Under his Vision 2030, Prince Mohammed plans to float a stake in oil giant Saudi Aramco and privatise other state assets to create the world’s largest sovereign wealth fund to invest in infrastructure and industrial projects. Hit by low oil prices, Riyadh has been cutting spending and trying to raise fresh revenues as it grapples with its budget deficit of $98bn in 2015. It has already dipped into recession. Future reforms are expected to cut subsidies, raise taxes, overhaul an outdated education system, trim the public sector and give women a bigger role. That challenges the religious conservatives who have posed the greatest threat to Al Saud rule in the century since it founded the modern kingdom. The clergy has become more careful about publicly criticising the ruling family. Some 30 clerics, intellectuals and activists were locked up last month in what rights groups described as a “crackdown on dissent”. The official council of senior religious scholars praised the crown prince’s NEOM plan and his comments on moderate Islam in a tweet this week. Whether MbS, as the prince is known, will achieve his modernising vision, which relies on the private sector driving growth and providing the state with new revenue, was the subject of animated debate in conference halls. “The project is certainly a novel idea and one with a lot of potential but a lot of details still require clarification,” said Raza Agha, a chief economist at VTB Capital. “Beyond the challenges of funding and building a project of this scale, the seemingly ad hoc nature of this, and other, announcements only serves to add to Saudi policy unpredictability,” he said. “The main project risk probably is the potential lack of large private investors. The local and international private sector will want to hear a lot more detail than what has been published to date,” he said. The rise of King Salman’s young son underscores a dramatic shift towards a leadership seemingly more in tune with the needs of a country where 70 per cent of the population are under 30. It is the first time that effective power has passed from octogenarian rulers to the third generation of a family founded by the prince’s grandfather, Ibn Saud. King Salman still has the final word, but has delegated unprecedented powers to his son. In less than two years, Prince Mohammed — who also runs the kingdom’s defence and oil strategies — has introduced genuine social changes that were regarded as taboo only a year ago. He curtailed the powers of the religious police who once roamed the streets to impose gender segregation and ensure women were covered from head-to-toe in public. He has also lifted a ban on women driving, permitted music concerts and is expected to reopen cinemas shuttered for 40 years. Under Salman’s predecessor King Abdullah there was also a slow though uneven process of liberalisation. But the mood in the capital Riyadh has shifted noticeably since MbS’s rise, with young people mixing on streets and in restaurants where music is played and women dare to uncover their hair and don colourful robes. That would once have been shut down by the morality police, which seems to have backed off. Social changes sparked some resistance from clerics and activists who objected to the prince’s consolidation of power at the expense of other princes, including Prince Mohammed bin Nayef whom he replaced in a palace coup. A wave of arrests last month exposed MbS’ unwillingness to tolerate obstacles to his vision. He must still redress a religiously-based education system and uproot a radical ideology which demonises other religions and sects. On his side in this culture war are many of a young generation keen to catch up with a liberal world they follow on social media, satellite TV and trips abroad. “There is a desire within significant parts of Saudi society to move away from rigid, old-school Wahhabi control of social behaviour and the public sphere,” said Hertog. “There is resistance from conservative forces, but to date it has been diffuse and disorganized,” he added. But previous Saudi mega projects meant to stimulate growth and diversification have not worked. The King Abdullah Economic City and the King Abdullah Financial District in Riyadh remain largely empty. One possible success that MbS would want to emulate is the Aramco complex on the country’s eastern shore, which resembles suburban America where women have more freedom and foreign schools, sports clubs and parks lure employees’ families. The strategy appears, experts say, to create alternative cities with a modern lifestyle while gradually reshaping the rest of society without risking a backlash by resentful conservatives wedded to anachronistic beliefs.